There are a number of myths around that seem to discourage tourists from visiting Tuscany in August. One of these myths is that Tuscany is too hot in August. While it's true that Florence, located as it is in a deep valley, can be boiling, the Tuscan hills and hill towns are always tolerable and frequently extremely pleasant during August. In addition, "hot" is a comparative expression. Texans hear that Tuscany is hot and imagine that it's as hot as or even hotter than Texas - which is not true at all! In fact, air-conditioning, for example, is rare in Tuscany, in large part because it's unnecessary. Another myth is that all the shops, restaurants and museums are closed because the Tuscans have migrated en masse to the seaside. Well, many Tuscan families do locate themselves near the beach during August, but the working members of the family often commute between their businesses and the beach while the family stays there. And of course the museums are all open. So, in fact, the larger cities are quieter and even more attractive during August than at other times while all the services you require continue to be readily available. There are even opportunities available during summer, including August, that are not available at other times. One of the best it to be able to enjoy a glass of wine and a snack buffet at a museum during a warm summer evening: Aperitivo Ad Arte! August is a good time to enjoy a minibus tour with a professional driver-guide. Even when you go to hot places, the minibus will be air conditioned and you won't have to walk as far as you would if you used a rental car or public transport. These tours are not cheap but they make extremely efficient use of your valuable vacation time. In summary, don't hesitate to visit Tuscany in August! There's plenty of accommodation available and all the important sights are open and less crowded than usual. 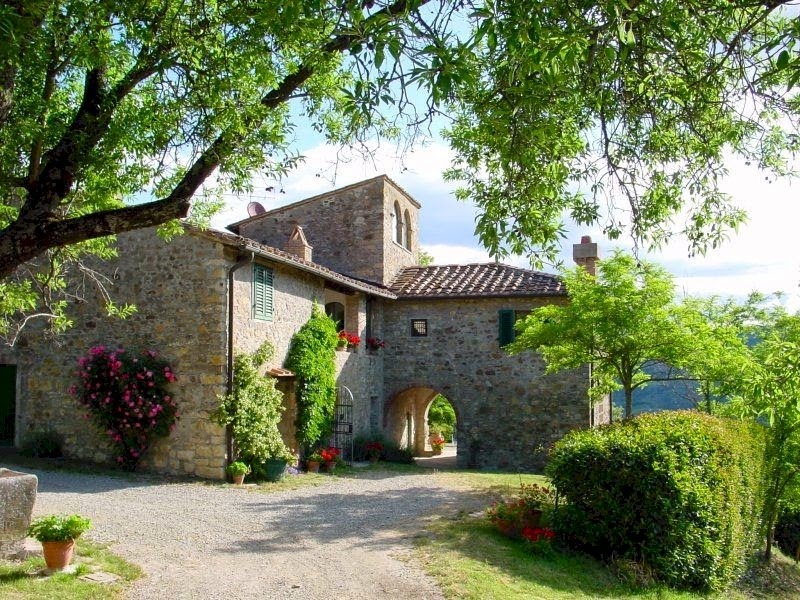 Air conditioned holiday accommodations in Tuscany.